When I began the process a few years ago, I found it best to replace products as I used them up. So, I finished what I currently had while I planned to create a natural alternative. 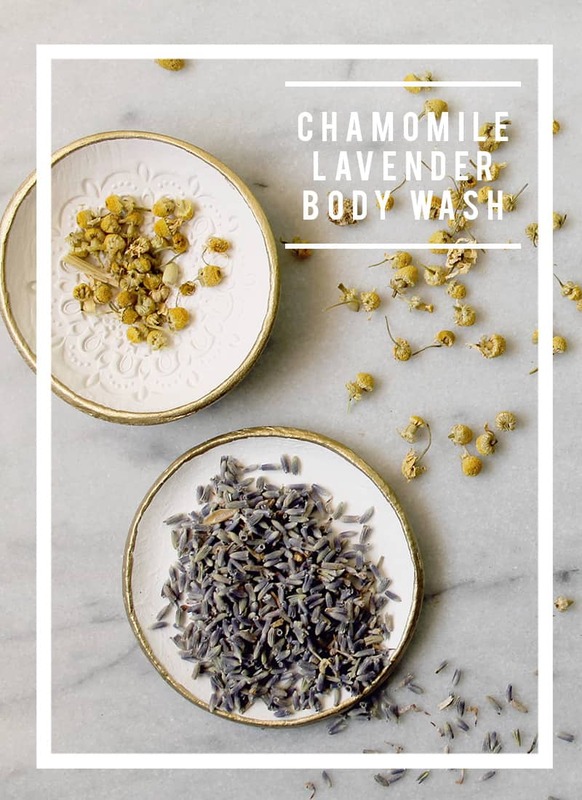 Although, when I came to this recipe I found myself using double the amount of my regular body wash from a popular American bath and body store. So, I could make this one sooner! 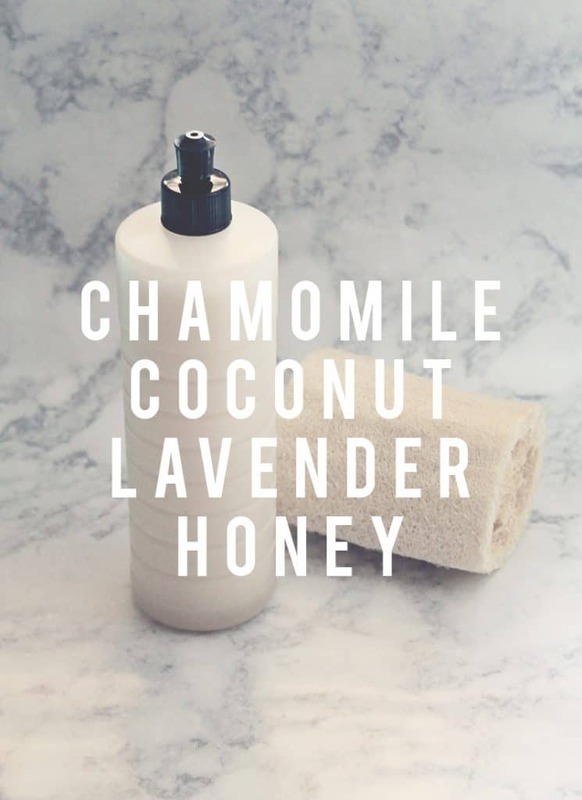 I loved all the creative fragrance combinations they came up, and I worried I couldn’t make a natural body wash that would be as fragrant as theirs. In Search Of a powerful yet soothing combination, I tried a few things but each either smelled like a household cleaner or didn’t stay fragrant when applied. Then when browsing the aisles of Target I saw a hand soap with a chamomile fragrance. It had a divine scent! I quickly put the lid back on the hand soap and finished my regular shopping to stop at my local family owned vitamin store for chamomile essential oil. Much to my delight, they had a half an ounce bottle and the owner said it was the best! I couldn’t agree more when I combined it with lavender essential oil. Both known for their calming and nourishing benefits for the skin. It was the powerful fragrant combination I was hoping for. 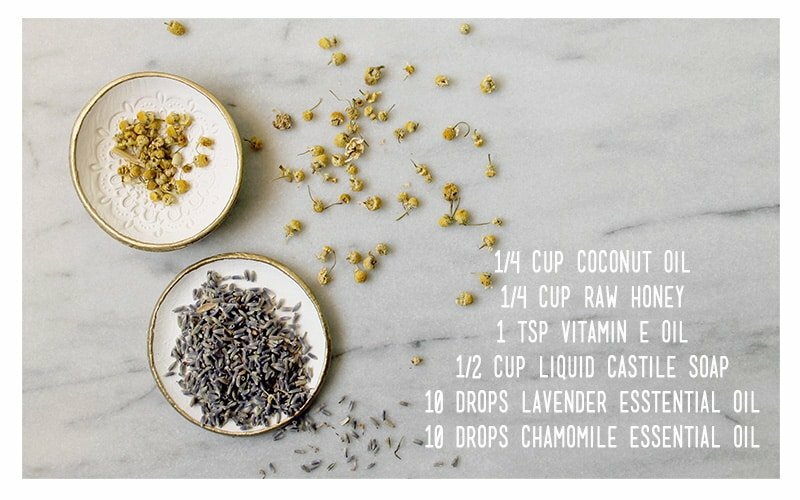 Chamomile adds an almost fruity scent to Lavender’s soft floral fragrance for a relaxing DIY body wash recipe. Try this body wash with my Lavender Lemon Sugar Scrub for added exfoliation. In a liquid measuring cup combine the fourth cup of coconut oil and honey. 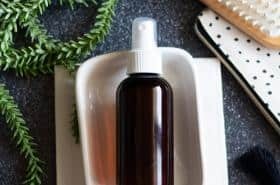 Add one teaspoon vitamin E oil, and one cup liquid Castile soap. Stir well to combine and pour into body wash 8-ounce bottle. 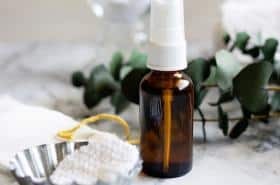 Add 10 drops of lavender essential oil and 10 drops of chamomile essential oil. Place the lid on the bottle an close. Shake well to combine. To Use: Shake well and apply to a loofah or sponge and lather on your skin. What’s your favorite way to use lavender in natural bath and body products? Share in the comments below. How do you make body soap? Check out my DIY Goat Milk Soap! Want more green recipes for home and beauty? Grab your copy of my Beginners Guide to Natural Living Book free! Two of my favorite fragrances! I am so glad I found your recipes, I can’t wait to try all of these.